Showing 1 - 1 of 1 Products for Clutch Flywheel. LuK: New flywheels are a smart alternative! The flywheel is an integral part of clutch replacement. 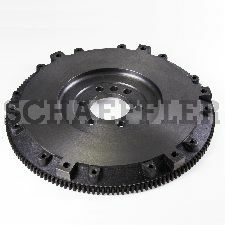 It must provide a smooth, flat surface for proper clutch operation. Pairing your clutch set with a new LuK flywheel is a smart, cost-effective alternative to resurfacing. All new - never remanufactured – every component is engineered and manufactured to OE specifications, including ring gear and dowel pins.